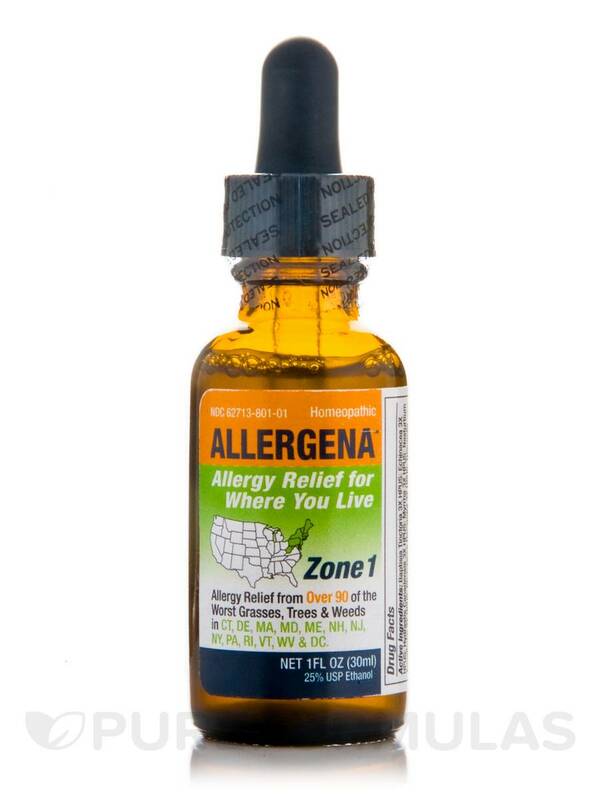 Allergena Zone-1 works well. Finally headache muscle pain itching were gone almost. The most common defense against seasonal allergies is antihistamines‚ which are over-the-counter medications that block the histamines that your body generates when it encounters an allergen. Histamines are what cause the uncomfortable runny nose‚ itchy eyes‚ sneezing‚ and congestion of an allergic reaction. The homeopathic method of treating allergies is to introduce allergens into your body in small doses so that your body can build up immunity to them. This is thought to desensitize you to the allergens‚ which may alleviate or prevent mild allergic reactions. 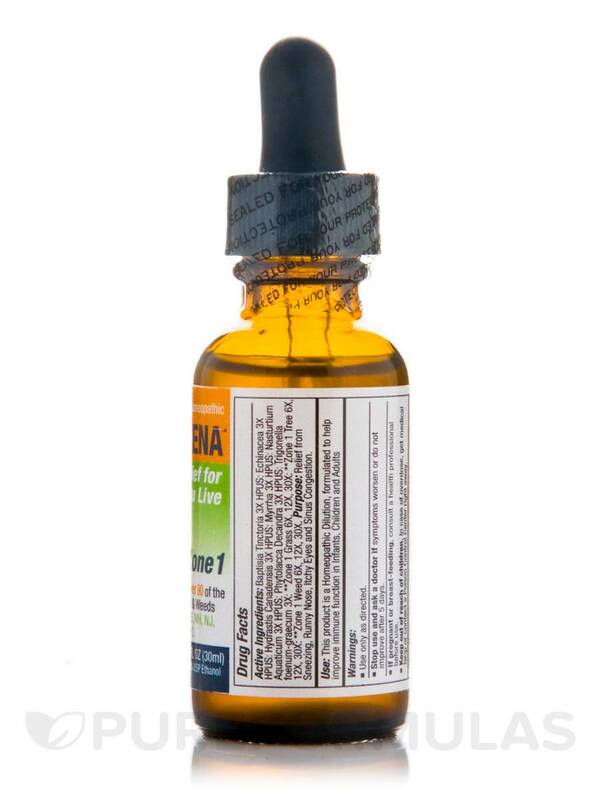 Allergena is a homeopathic formula that is available in nine formulations‚ each for a designed for a different part of America. Zones are organized around the presence of shared botanical allergens such as trees‚ weeds‚ and grasses. The Zone 1 formula is for people who live in areas like Connecticut‚ Delaware‚ Maine‚ Maryland‚ Massachusetts‚ New Hampshire‚ New Jersey‚ New York‚ Pennsylvania‚ Rhode Island‚ Vermont‚ West Virginia‚ and the District of Columbia (Washington‚ D.C.). Baptisia tinctoria‚ Hydrastis canadensis‚ and four other herbal drainage remedies‚ which may open up drainage routes and allow the discharge of toxic substances. For severe or long-term allergy sufferers‚ start taking Progena’s Allergena Zone 1 two weeks before allergy season begins. 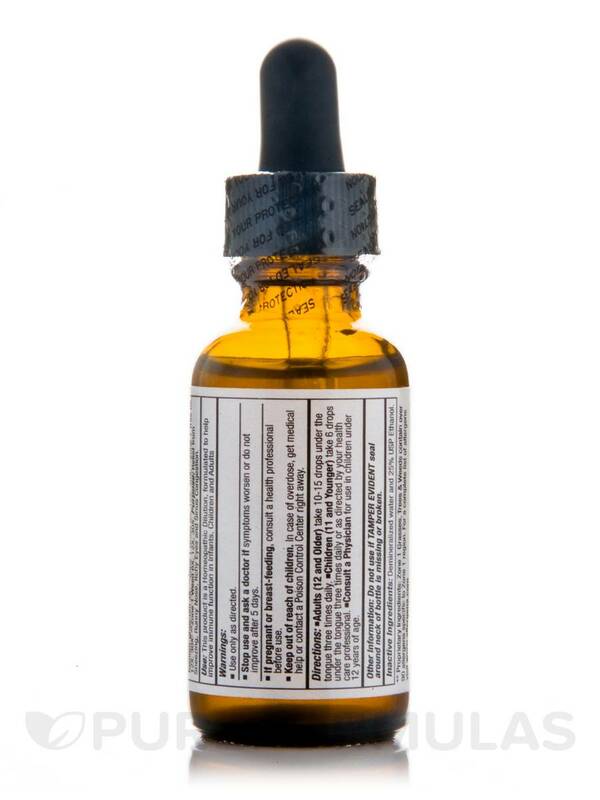 Because you are ingesting extracts of things to which you are allergic‚ you may experience an increase in allergic reactions for the first few days; if this happens‚ decrease your dose and slowly increase it over time. Ask your doctor before starting to use this supplement. Progena has been committed to developing nutritional homeopathic remedies since 1984‚ which are used in both conventional and alternative medicine. Using scientific evidence‚ Progena has formulated more than 150 unique supplements for almost every ailment. Zone1 Weed 6X‚ 12X‚ 30X. What a wonderful company to put together a product like this for each region in the USA. It works like a charm. My doctor recommended Allergena Zone-1 by Progena to replace three other allergy medications I was on. It worked within minutes of use, and I recommend this product to everyone I know with allergy symptoms. It is my go-to product that I won't be caught without. I don't need or use anything else. Works great, it is convenient, and easy to take. Not available in stores, can also be a bit pricey and the taste takes some getting used to. I just started taking Allergena Zone-1 by Progena, this was my second bottle found it at a better price here than previous purchase. So far so good, I know it will take some time for my body to build up an immunity to the things I'm allergic to, I take twice a day. 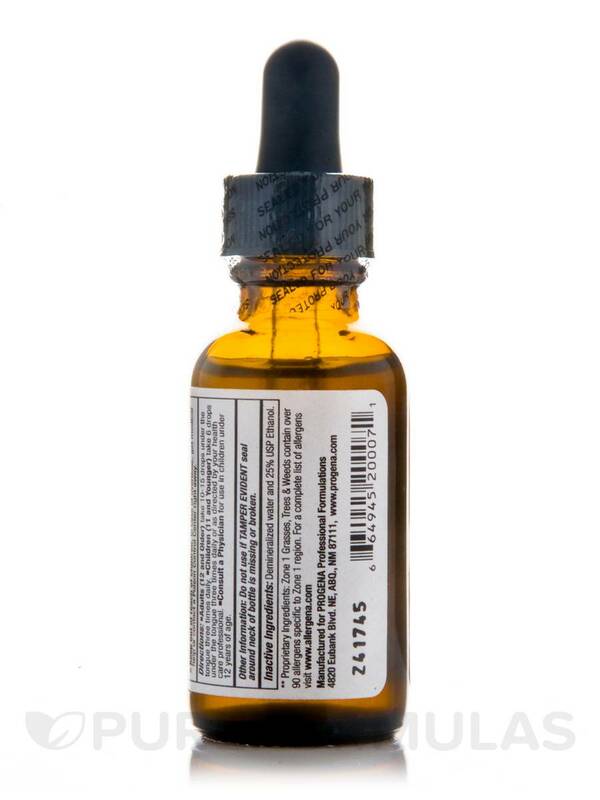 Easy to take just fill dropper and count the drops. Taste a little nasty but not too bad. Allergena Zone-1 worked like a charm! can I take allegra while taking allergena zone 1? Hello, thank you for your question. We recommend discussing your concerns with your practitioner.